The Ultimate Gift! The perfect way to say Happy Holidays! 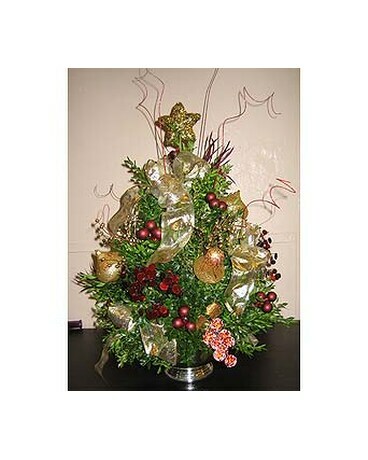 Tabletop trees are hand made of fresh boxwood and each is custom decorated by one of our talented designers. Designs are traditional holiday, winter and whimsical - sure to be a favorite for the young and old on your holiday list.